Issue 15 is out now! Professional Player brings you the summer's hottest Euro 2016 highlights as France made history! 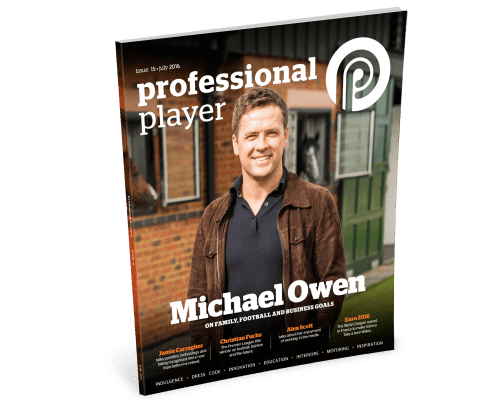 •Since retiring in 2013, our cover exclusive Michael Owen has been busy working on many ventures within and outside of football. •Jamie Carragher talks punditry, technology and being recognised more now than before he retired. •We caught up with Jenna Legg at Thomas Sabo’s Flagship London Store. •The former Sunderland and Wolves defender, Jody Craddock, talks all about his new career as an artist. •Kelly Cates talks about her media career, maintaining a work/life balance and her proudest broadcasting moment.